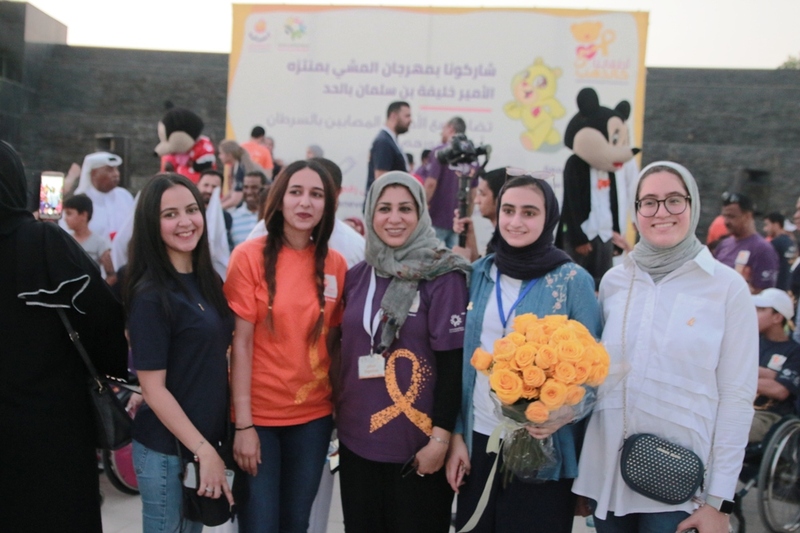 About 1,000 Bahraini participants expressed their solidarity with cancer-stricken children in the Kingdom and around the world by participating in the Walkathon organized by “Smile” an initiative of Future Society for Youth’s as part of “Kids R Golden5” campaign to raise childhood cancer awareness. 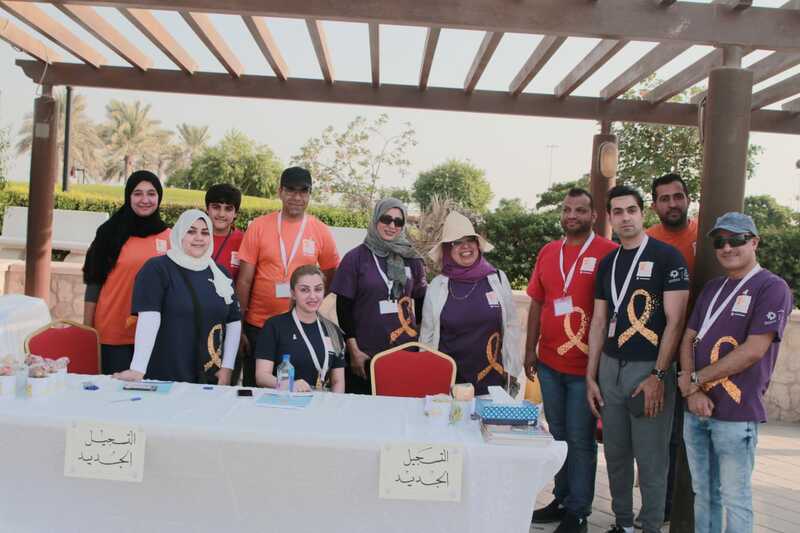 Walkathon’s participants, held at Khalifa bin Salman Park in Hidd, confirmed their support to cancer-stricken children and noted that their participation is a massage of their support for the children “we stand by you” , praising the humanitarian objective of “Smile Initiative” volunteers. 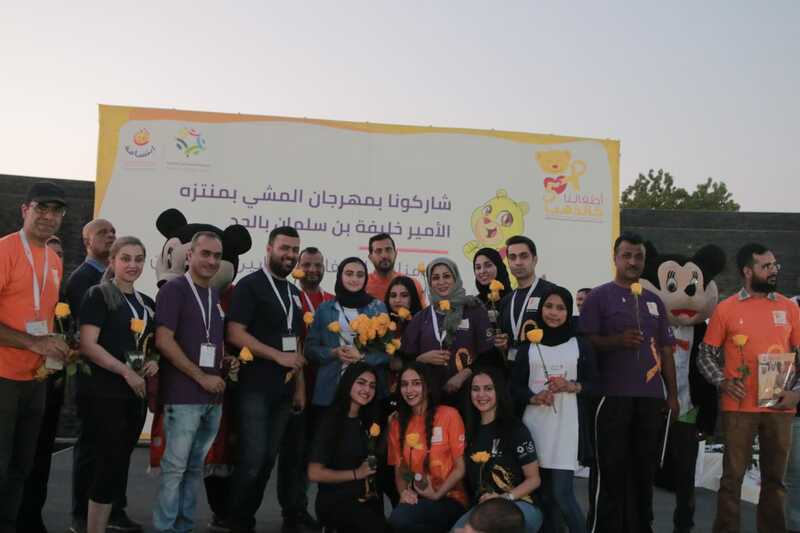 Walkathon’s participants ranged from individual and groups participation representing the various civil, private and governmental sectors in order to raise childhood cancer awareness among and the need of supporting sick children and help them to get through the stage of treatment and reintegration into the community again. The event included many health awareness and entertainment competitions. 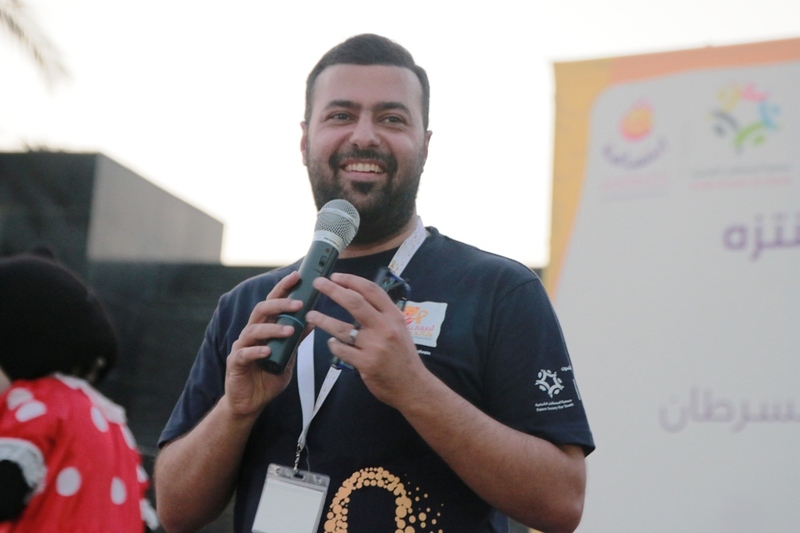 Chairman of Future Society for Youth, Mr. Sabah Al Zayani, praised the community’s great participation in the Walkathon to walk three kilometers to express their support for cancer-stricken children, noting volunteers’ efforts to organize such a successful event. He explained that the Walkathon is one of the prominent events of the campaign, “Kids R Golden 5” held by “smile”, every September to spread awareness of Childhood Cancer, placing Bahrain on the list of countries that participate annually in Childhood Cancer September events, highlighting Bahrain’s achievements in health and medical services for cancer-stricken children. Through this voluntary campaign, “Kids R Golden 5” will conclude its events on October 11 with a charity ceremony at the Diplomat Hotel in which Najma Abdulla will participate with musical segments in addition to raffles and other events. The proceeds of the event will be dedicated to cancer-stricken children and their parents, where civil and governmental organizations will also be involved in organizing side events to support and contribute to this community awareness campaign.